You can participate in free online homeschooling by using free homeschooling curriculum, free homeschooling worksheets, and free homeschool resources. One of the more popular sources of free online programs is virtual homeschooling. Virtual education involves using a public charter school program to teach children at home. Children are actually enrolled in public school, and are taught by certified public school teachers through computer-based courses, teleconferences, instant messaging, and e-mail. All necessary materials, including books and computers, are provided to students free of charge. Two of the largest virtual school providers are Connections Academy and K-12. Although these charter schools are growing in popularity, they are less flexible and require more government oversight than independent homeschool programs. Some homeschoolers are also concerned that increased use of these programs may lead to more government intervention in home schools. For this reason, many parents choose to forgo virtual public schools, and take advantage of the many internet resources available for free homeschooling online. Free Homeschooling Worksheets - Here's a list of places you can find free homeschool worksheets for a variety of age ranges and subjects. Also includes links to free homeschool lesson plans, printable calendars, and planning pages. Free Homeschool Worksheets - Here's where you can find printables for specific subjects. Includes free handwriting worksheets, free printable math drills, quizzes, flashcards, language arts worksheets, science worksheets, and preschool printables, such as lapbooks, file folder games and coloring pages. Free Homeschooling Curriculum - Here are 8 sources of free homeschool curriculum for your family. These are complete home school programs that you can use to teach math, English, science history, and more, for grades preschool through high school. Free Homeschool Curriculum - Here's a list of places you can find free online homeschooling programs for specific subjects, such as art, foreign language, spelling, typing and algebra. Also includes an awesome resource for finding free unit studies. 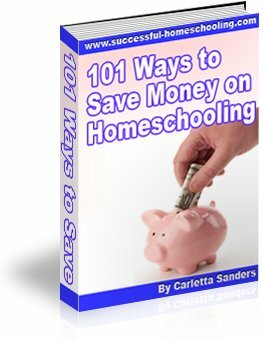 Free Homeschooling Resources - These free homeschooling resources can be used to create your own curricula or supplement your current program. Includes places you can find free audiobooks, books, videos, educational computer games, and more. Homeschool Freebies - Here are some homeschool freebies that we have created just for you!